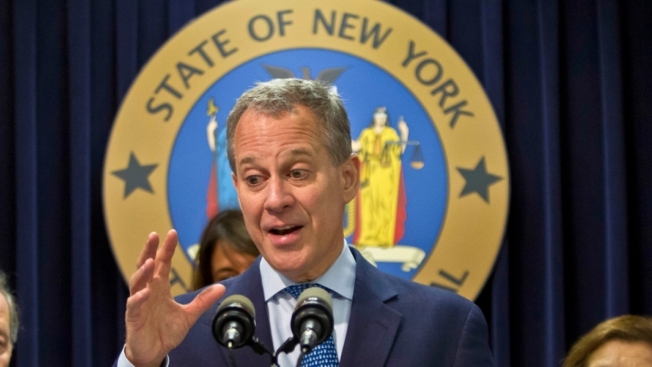 State Attorney General Eric Schneiderman announced the settlement Tuesday. New York's attorney general says he has reached settlements with Viacom, Mattel, Hasbro and Jumpstart Games stopping them from using tracking technology on their popular children's websites. The settlements require Viacom, Mattel and Jumpstart to pay penalties totaling $835,000 following a two-year investigation into violations of the 1998 federal law that prohibits unauthorized collection of children's personal information on websites directed at users under 13. Attorney General Eric Schneiderman says each allowed tracking technology such as cookies on their websites in violation of the law. Such technology can be used by marketers and advertisers. Hasbro says it cooperated with investigators, will closely monitor companies working on its behalf and that it is rolling out a stricter online privacy protection policy. The other companies didn't immediately reply to requests for comment.